The Trifecta: Derby, Dinner & Drinks! Time – 5 to 10 p.m.
Come join us for uniquely entertaining evening! Cheer on your horse as you watch the running of the Kentucky Derby LIVE on the BIG SCREEN at the Theatre @ PLAY! Enjoy the FUN! Take chances on our Derby Sideboards! Take part in our auctions! Wear your most outrageous Derby hat! Enjoy the Southern menu, the open bar, entertainment and all the Trifecta activities…to raise money for Mission4Maureen! 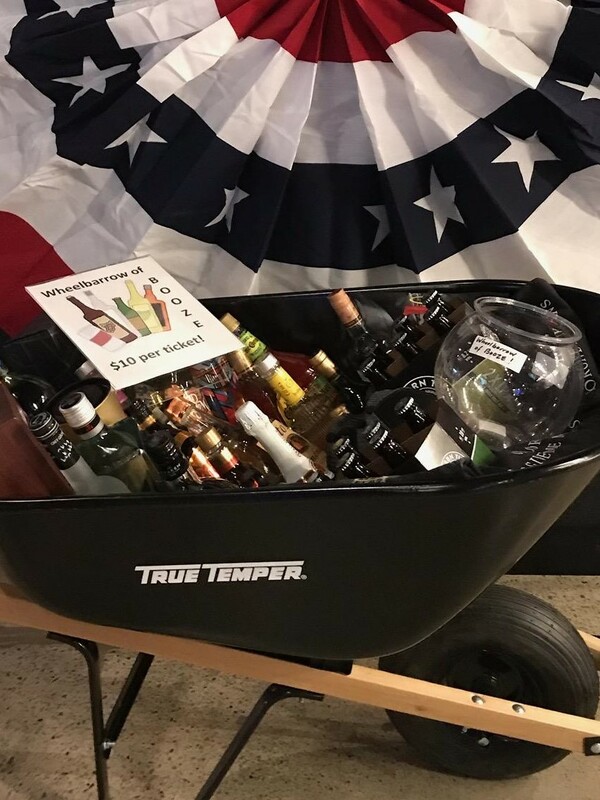 Wheelbarrow of Booze Raffle Pre-Sale! each and you can purchase up to 10 online. We’ll need your name and address when you get to the PayPal site so we can keep track of purchases, as well. Winner need not be present to win. Good Luck! [caption id="attachment_2047" align="alignleft" width="300"] NOVEMBER 29th! [/caption] Mission4Maureen has awarded a total of $990,000 to hundreds of brain tumor patients and their families across 45 states over the past 10 years! HELP US reach the ONE MILLION DOLLAR MILESTONE! Click here and GIVE! SUPER TICKET RAFFLE! Your chance to win $10,000* or 11 other AMAZING PRIZES! Raise $$$ for Mission4Maureen when you Shop Online! Customers shop. Amazon gives by donating .5% of the price of eligible AmazonSmile purchases to organizations selected by customers. AmazonSmile is the same Amazon you know. Same products, same prices, same service. Support Mission4Maureen by starting your shopping at smile.amazon.com. Choose Mission4Maureen as your charity. Top-Rated 4th Year in a Row! No comments by m4maureen yet.